Are you looking for a custom printed hand fan for churches or inspirational events? Then our custom religious and inspirational hand fans are what you have been looking for. 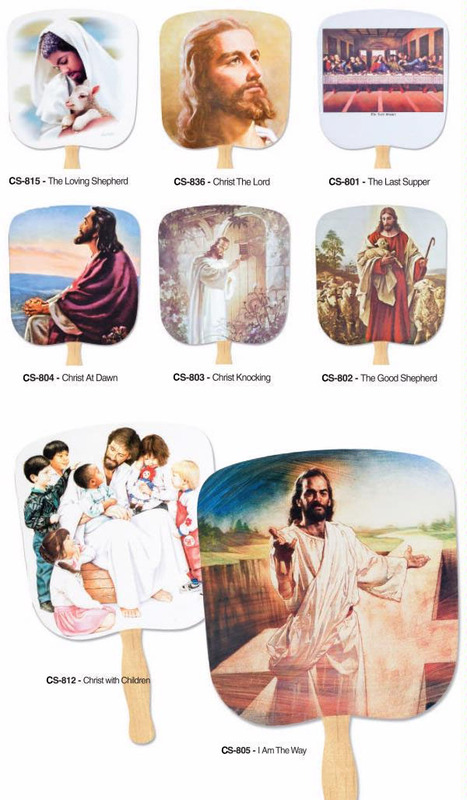 These hand fans feature a variety of stock imagery of both a religious nature, or inspirational mood. Pick an image you like then have your name, text, or graphic printed on the hand fan for an affordable price. 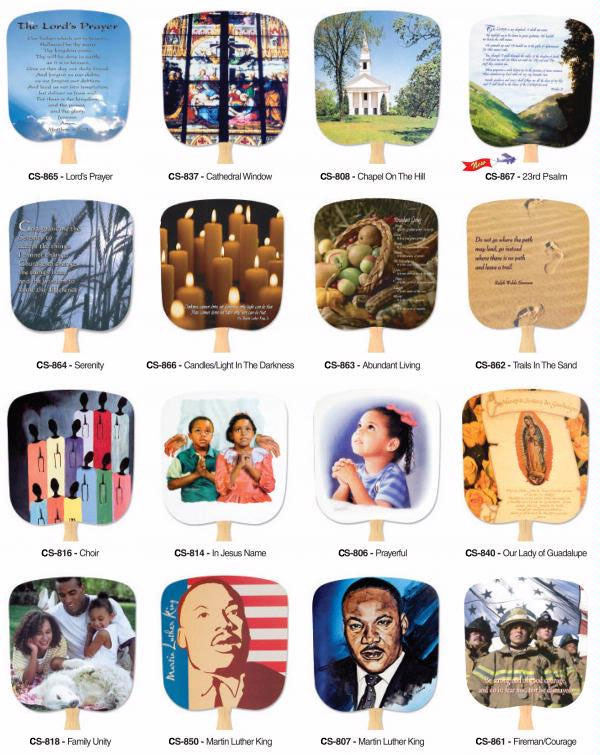 Religious and inspirational hand fans are an excellent promotional item for churches, cathedrals, retreats, concerts, speaking engagements, presentations, fundraisers, and much more. Price includes full-color process stock pictures on coated front, and on the back, a one color imprint on white, 18-point board. Wooden handles are stapled to fan. Add $.13 each to have them glued instead. Imprint Area: 7" x 6 3/4", allow 1 1/4" x 4" in center for handle placement. Copy on back side only. Extra Charges: Printing Plate:$37.50 per color. FIRST PLATE FREE with camera-ready art.